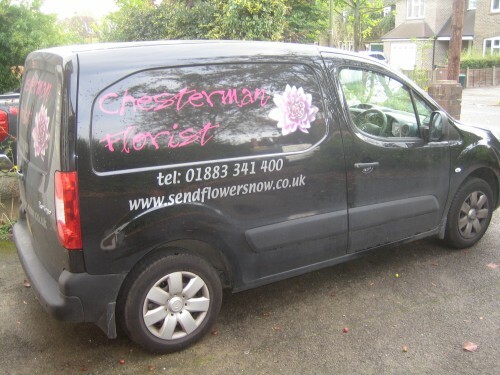 Chesterman Florist is your Caterham, Purley and Surrey Florist delivering flowers from 9am - 5pm Monday to Saturday. Unfortunately we do not deliver on Sundays, if an order is recieved for a Sunday it will be delivered the next working day. We offer a same day delivery service with no extra charge (just £5.99) anywhere in the UK. Orders must be placed by 2pm. Chesterman Florist is your Caterham, Purley and Surrey Florist. We have local special offers which are available in store for local delivery. These local delivery areas are:Caterham, Croydon, South Croydon, Coulsdon, Purley, Warlingham, Woldingham, Oxted, Redhill, Reigate, Wallington, Sutton, Selsdon, Sanderstead, Westerham, Biggin Hill, New Addington, Tatsfield, West Wickham, Shirley, Whyteleafe, Godstone, Kenley, Mitcham, Hackbridge, Carshalton, Chipstead, Tadworth, Banstead and Kingswood. Our local special offers not only include fresh flowers, but Gift Ideas for Home and Garden.